It was while I was stood in the kitchen area of our Liverpool office, discussing with a colleague the fact he was going to watch AFC Fylde at Chester later that night, that my boss jumped in with a comment..
My response was guarded, and to be honest, I really didn’t want the can of worms opening on that one, especially given the fact that my little bit of knowledge about AFC Fylde for some would in itself be regarded as beyond geekish. It did make me think though, the amount of knowledge and information that us enthusiasts have gained over the years is colossal, you only need to look at the various forums to see that, but sometimes it’s the downright weird, wonderful and perhaps even quirky stuff that I’ve stored in my mind that amazes me. 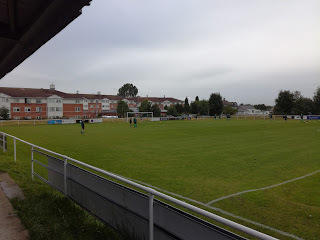 Rylands, for example, I can remember hearing about them in 1983 as an eleven year old, just at the time I was developing my interest in non-league football. 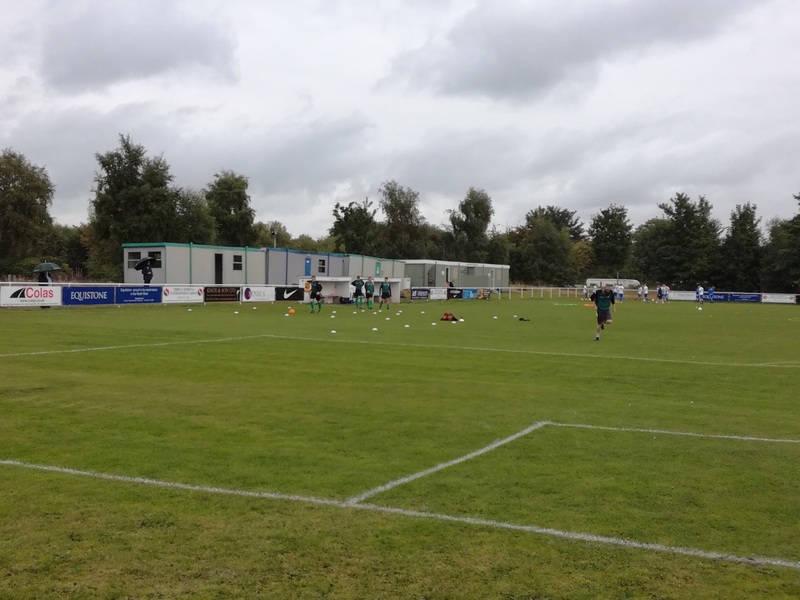 They had drawn Rainworth Miners Welfare at home in the FA Vase, it was a big game because two years earlier the Miners had reached the Final and lost to Forest Green Rovers. Rylands won 4-1, and to be fair at the time, it was probably the best result in the clubs history, a 4th Round tie at Rothwell Town loomed, but, the Miners appealed over the size of Rylands pitch. 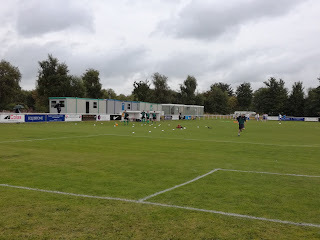 They won the appeal, the pitch was deemed too small, and the game was replayed, at Rainworth, which the hosts won. I’d not forgotten that story, and bizarrely as I drove into the ground and saw the impressive Georgian style clubhouse, it instantly took me back to a photograph that’s contained in the second edition of the old Tony Williams publication ‘The Non League Football Grounds of Great Britain’ which he had published in the late Eighties. All a bit spooky really, but when this is your passion, is it really that surprising that our memory banks are so full of imagery and fact? 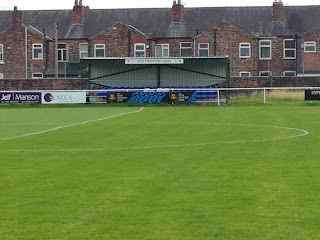 What of Rylands Football Club? They are based to the East side of Warrington town centre and as my meeting was on Merseyside, the journey was a very simple one along the M62 and down into Wiretown. 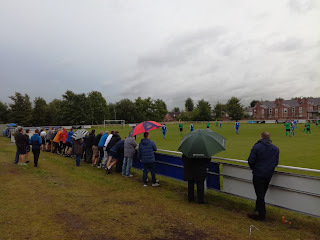 The journey in fact took me past the Tetley’s Sports Ground home of tonight’s visitors and that in itself is less than a mile away, so this was a real local derby. It was also the first game of the season, and as a result, combined with the local interest a healthy crowd well into three figures turned up to watch the fixture. The ground is very good, one of the better Step 7 facilities you could visit, and with the impressive clubhouse outside the turnstiles, serving the wider sports club, it has everything you would want as a spectator, including some seats under cover that provided shelter from the persistent yet light rain that set in the for the evening. The first half saw a fired up Greenalls as the better side for the most part, however they couldn’t breach the hosts back line. 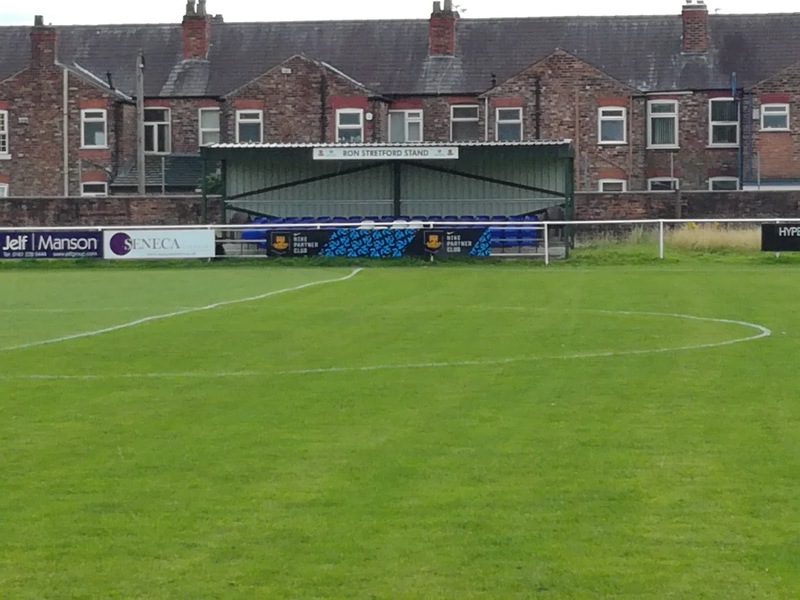 But then as the half drew deep into the closing stages Rylands broke away down the right hand side and the subsequent low cross was swept into the net unmarked to give them something of a surprise lead. Rylands grabbed a second just after half time, and within moments Greenalls were down to ten men thanks to a rush of blood, so it was effectively game over. The home side scored a further two well taken goals to give the scoreline a slightly harsh reflection of the visitors, but to be fair Rylands had been very good in the second period. So honours in the Warrington Derby go the way of Rylands, but with Eagle Sports also within the Town’s confines having a very good win over Billinge in the opening game, it could be very interesting this season, especially with promotion places to the restructured North West Counties League up for grabs. 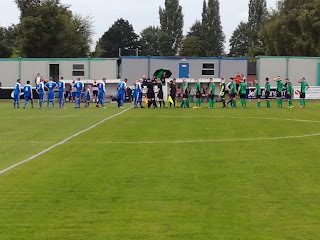 I’ll keep an eye on the landscape, but then when you are the oracle of non-league football, it would be churlish to do otherwise. Let’s just hope for the sake of Rylands though that the pitch was the correct dimensions!